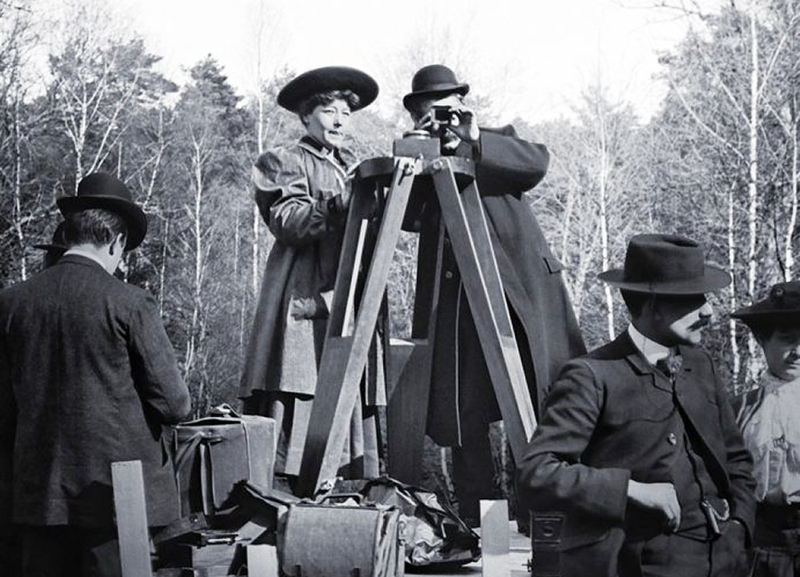 Columbia College Chicago will launch the fourth annual Chicago Feminist Film Festival with the Chicago premiere of Be Natural: The Untold Story of Alice Guy-Blaché directed by Pamela B. Green. A testament to the continued gender inequity in the film industry, Be Natural follows director Green’s journey uncovering footage from archives all over the world. Paired with narration by Jodie Foster and featuring long-forgotten interview clips, it recounts Blaché’s history and, consequently, the buried history of women in film. The film is a celebration of Guy-Blaché’s pioneering in film as well as a journey into why the French female filmmaker was hidden from history. Guy-Blaché was not only the first-ever female film director, but also a leader in all aspects of production from editing, writing, and producing a large portfolio of over 1,000 films. A leader in narrative filmmaking who pioneered the craft of on-camera storytelling, she was the first to use techniques such as color, closeups, and synchronized sound before they were popularized in Hollywood. Despite becoming the Head of Gaumont Film Production at age 23 and later founding her own successful American production company, Solax, in 1910, her career was abruptly ended and her legacy largely forgotten. Be Natural uncovers this forgotten piece of important film history. Be Natural will screen for free on Wednesday February 27 at 6:30pm in Film Row Cinema, 1104 S Wabash. Director Pamela Green will be available for a post-screening talkback. Other notable films premiering at the festival include the official Belarusian Oscar submission, Crystal Swan. Channeling the inspiration of an aspiring DJ and Chicago House Music fan in post-Soviet 1990’s Belarus, the film tells the story of her attempt to obtain a visa, move to the Windy City, and live the American Dream. 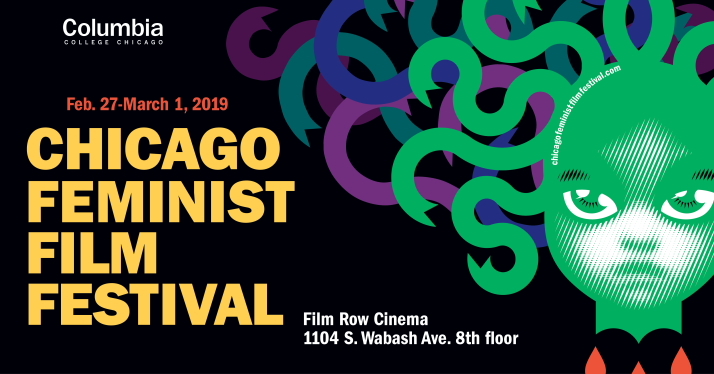 The Chicago Feminist Film Festival strives to unveil the great creative work of women, people of color, and members of the LGBTQIA+ community in a three-day event, February 27 – March 1, at Columbia College’s Film Row Cinema, 1104 S. Wabash Avenue. In addition to the premiere of BeNatural, the festival includes two more feature films, CrystalSwan and BeiBei, as well as over 40 short films and two web series from 15 countries around the world. Audiences will have the opportunity to participate in post-screening talkbacks with both national and international directors in inclusive, interactive conversations on topics seen in films. For a detailed list of programming, visit the 2019 festival schedule. The Chicago Feminist Film Festival showcases independent, international film, predominantly shorts, spanning documentary, fiction, and experimental genres, and aims to address issues of gender, sexuality, race, and other forms of inequality often missing from mainstream media. This in turn means creating inclusive public spaces for under-represented artists to share their work — particularly women, people of color, queer, and transgender folks, given their struggle for visibility in the mainstream film industry. Another goal is to forge connections between local, national, and international film. The overarching assumption behind the festival is that art plays a vital role in bringing people together and encouraging them to think deeply about issues of equality and social justice. For more information, visit chicagofeministfilmfestival.com. Columbia College Chicago is a private, nonprofit college offering a distinctive curriculum that blends creative and media arts, liberal arts and business for nearly 7,500 students in more than 100 undergraduate and graduate degree programs. Dedicated to academic excellence and long-term career success, Columbia College Chicago creates a dynamic, challenging and collaborative space for students who experience the world through a creative lens. For more information, visit www.colum.edu.